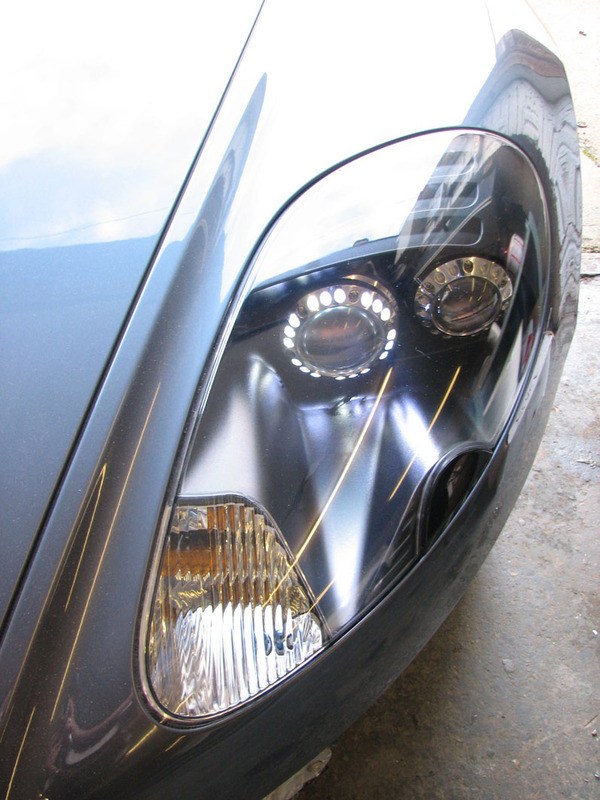 All OE DBS panels were used in the conversion of this DB9 but alot of modification was required to make them fit. As you can imagine we get a lot of people asking for information about doing this conversion, so to save everyone time we will give you the information here! As stated above all the panels used were OE, however the front bumper is too long by about 6mm, this can be trimmed back and the original flat of the wheel arch put back, there is enough "meat" in the bumper to do this. The side sill covers are also too long, again a simple trim at the front edge, the rear of the side sill cover bulges a little more but can be pulled back in from behind the cover with the help of a cable tie, sounds a bit simplistic but works. The hardest thing is the rear bumper, this is too short, not by much but enough to cause an issue, you have 2 ways to get over this, either by building up the wheel arch section of the bumper or by stretching the bumper by heating it with hot air guns. With hot air guns just try to apply the heat over a large area otherwise you will tear the bumper. 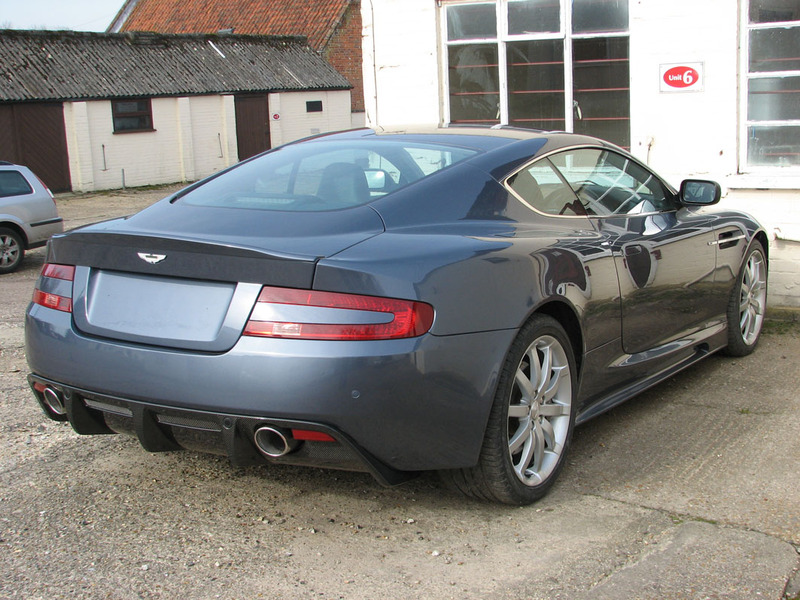 The next problem is with the shape of the rear bumper by the rear light, on a DBS the wing flares, this causes a wider section by the light unit which is mimicked by the bumper, the DB9 wing does not do this so the shaping of the bumper edge needs to be changed. It is possible to flat this part out and give a more of a straight line edge which dissipates into the bumper and is parallel to the light unit. The rear diffuser is a straight forward fit, we can supply a copy of the diffuser for £500 plus delivery, it is made out of GRP but could be either carbon wrapped or done with carbon hydrographics, painting it grey or black has sufficed too. 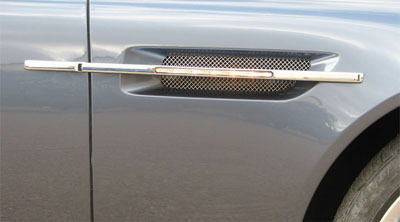 This is the only non genuine part we can supply, we do not have a "kit" to offer and before anyone asks, no the diffuser will not fit into the DB9 bumper! 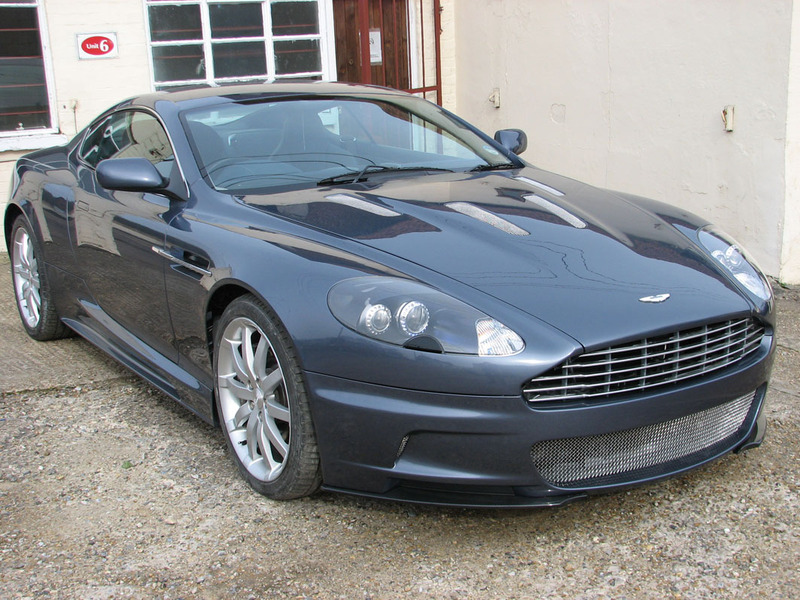 Should be plenty of info there to give you food for thought, obtaining secondhand parts will definately keep the cost down (a lot) but if you go the Aston supplied route you will be looking at roughly a £6K bill, then you have the cost of the modifications, painting and fitting. 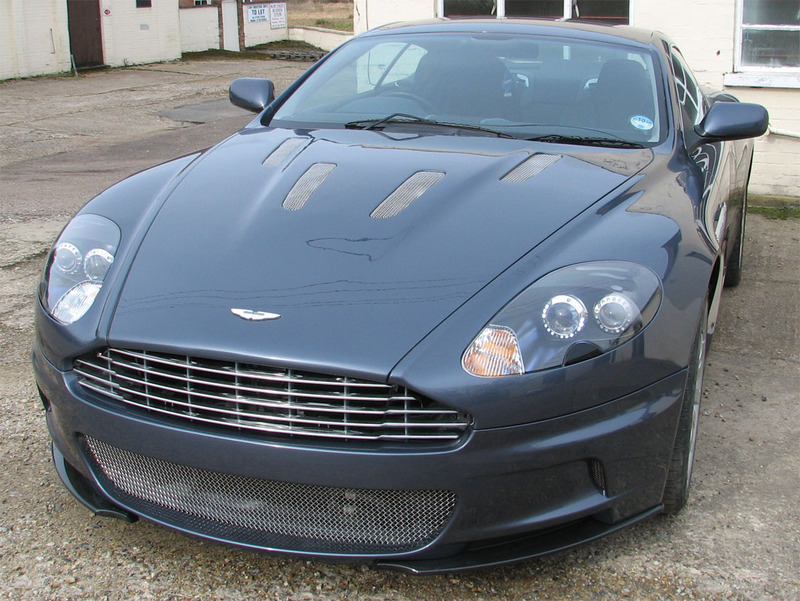 The DB9 above cost £12K+, however that did include the side straker repeater which we thought was a very nice touch but expensive to do as they do not fit straight into the DB9 wing and need to be machined at the back then rechrome plated, the extra bonnet vents, full repaint and the LED light bezels.